This is a perfect way to drive fundraising and donations by hooking onto a time of year and using it to your advantage. Another successful British Heart Foundation campaign from this year was their chocolate free month in March 2017 called Dechox! 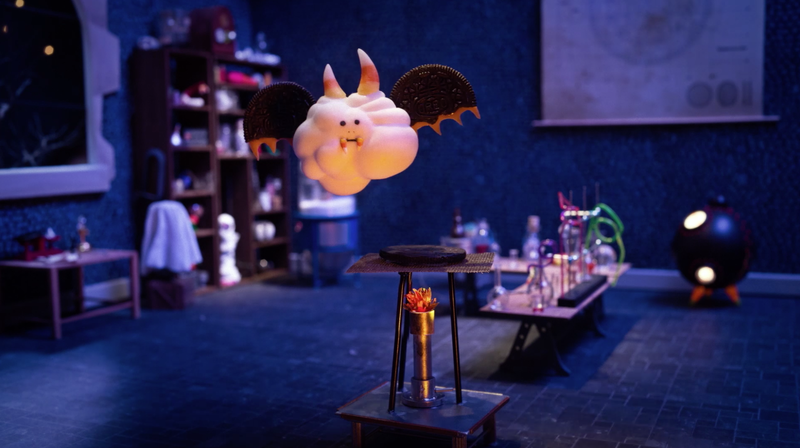 So, what are other brands doing for their Halloween marketing campaigns? We’ve dug through the archives and found some absolute treats for you. As well as Halloween, we also love chocolate! Chocolate giant, Cadbury’s bring out its sought-after crème eggs, not only at Easter but also at Halloween and we have to say, this one looks amazing! Cadbury released a limited range of eggs and cleverly used a play on words to tailor their eggs to the time of year, with the use of ‘ghooost’. Anyone that’s eaten a crème egg will know they contain a gooey centre so top marks to Cadbury for this winning product. P.S. We also love their Screme Eggs! Last year Airbnb ran a community-driven Halloween campaign that allowed guests the chance to spend the night in Dracula’s Castle. The hospitality giant teamed up with Dacre Stoker, the great-grandnephew of Dracula author Bram Stoker, who hosted the competition winners at Bran Castle in Transylvania on Halloween. The campaign did so well, that data from the time showed there were around 5,000 conversations across social media discussing the campaign. Back in the days of Vine (RIP Vine! ), Oreo optimised the platform in 2013 and paid tribute to some of the Halloween classics with their own parodies. Each Vine was funny, upbeat and interesting, which directly ties into Oreo’s brand identity. The following year, Oreo took its inspiration from the 1800’s mad scientist laboratory and launched the “Oreo Laboratorium”. Experiments were performed on Oreo cookies to create “nomsters” which were unleased on Vine and via social media. A “nomster” was bought to life each day in the five days leading up to Halloween and fans were encouraged to “Name the Nomster”. More than 21 million impressions, including 4.3 million organic Twitter impressions were recorded over the five-day campaign. There were also 260,000 video views and thousands of social shares. The campaign was widely praised across the press and generated 14 million PR impressions in its five days. 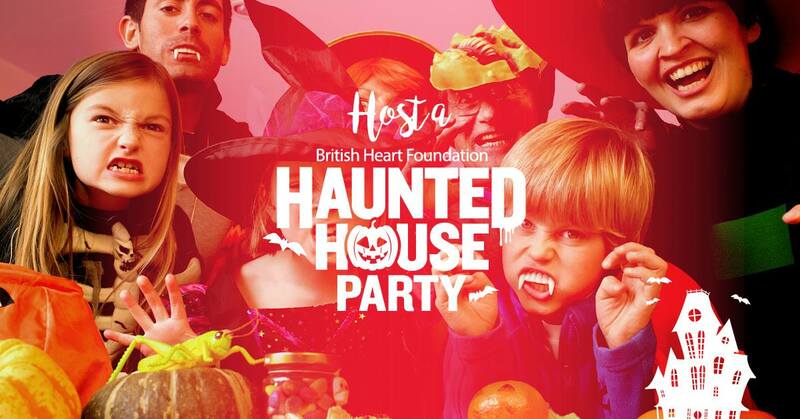 Last year Asda launched it’s ‘Halloween your way’ campaign, which had everything you needed for the perfect fright fest, including petrifying party decorations, spooky snacks, and the all-important Halloween costume. The advert showed a werewolf family where the youngest member decides he doesn’t want to be a werewolf for Halloween this year. The mother knows exactly where to go for the perfect costume… Asda! The advert performed really well on social media, with a huge amount of positive engagement from the public, with many people commenting on how cute the werewolf family were. Users also shared how they did Halloween their way. This is really interactive and a perfect example of how to how to engage your audience on social media. Sometimes there isn’t always the budget or the resource to have the fuel of a mix channel marketing campaign. So what do we do here? Well looking through American retailer PetSmart’s Instagram, there are many images of pets dressed up for the season. This image gives pet lovers a clever idea for pumpkin carving and helps promote positive engagement with the brand, with many users sharing the cute posts across Instagram. Last year Chipotle, the international chain of Mexican restaurants, released a #Boorito video to encourage customers to dress up and visit their nearest Chipotle between 5pm and closing time and purchase a burrito, bowl, salad or an order of tacos for just $3. This was a huge success and also helped raised funds for its Chipotle Cultivate Foundation. This killer deal is back again this year, giving burrito lovers the chance to win a year of free burritos. Chipotle has run both the $3 Boorito deal and the year of free burritos campaigns, but this has never been done simultaneously, until now. Kellogg’s took its Rice Krispies Squares and gave them a Halloween twist. It created branded vending machines with #ScaresVendor emblazoned all over them and offered “free Rice Krispies Scares”. This campaign worked well as it included real-life interactivity with their target market and it wasn’t just a hashtag campaign. The stunt was picked up by Reddit which ensured global coverage for the campaign. So, there are some of our favourite Halloween campaigns, but what are yours? Is UKIP’s New Rebrand A Roaring Success? The New GDPR Regulations. Are You Ready For Them?